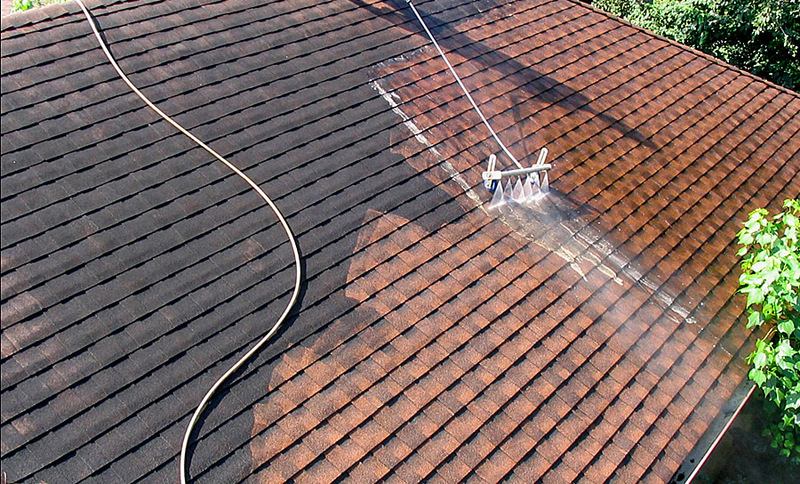 Thompson’s Roofing Pressure Cleaning Service : Thompson's Roofing, Inc.
Why clean with Trisodium Phosphate? Trisodium phosphate (TSP, E339) is a cleaning agent, lubricant, food additive, stain remover and degreaser. It is a white, granular or crystalline solid, highly soluble in water producing an alkaline solution. Trisodium phosphate remains one of the strongest cleaners available, even after it has been diluted several times. If you are looking for a good way to get rid of dirt in a stubborn area, then you might consider reaching for your bottle of TSP bleach. It is far more effective at getting a good white on clothes than some biological detergents, and you can also use it to scrub floors, or even wash the area behind the fridge, which is usually a no-man’s land of dirt and bacteria. TSP can be applied using a brush, but it can also be sprayed if you wish to protect the sidings of your home from fungus. If you have mildew, then TSP bleach is the perfect solution for this condition. If you want to prevent mildew, then add TSP bleach to a wash before you paint them, as this will not only kill off any fungus, but will also remove the unpleasant stains that come with it. Combine it with another household bleach in order to completely remove all traces of mildew from your home. Make sure the company has professional rigs (that will give you an idea of the quality of the company?